Experts from the housing and mortgage industry came together at the Guest House at Graceland in Memphis, Tennessee for the 2019 Five Star Single-Family Rental Summit  (SFRS). The event, which began on Monday with an opening night reception launched into a full lineup of curriculum today and will run into tomorrow. The event is a deep-dive into the financing and strategic planning needed to invest in this dynamic market. Jeffrey Tesch, Managing Director at RCN Capital said, “As institutional money continues to flood the single-family investment space, rate compression and ease of aggregation for investors are better than ever. 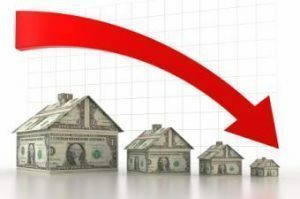 However, investors pooling SFR assets in multiple geographic regions across the United States are having a more difficult time than ever due to constraints on inventory. The content presented at the SFR Summit was a great lead into the Five Star annual event in Dallas in September,” Tesch shared. Charles Sells, Founder and Managing Director, The PIP Group, told DS News earlier that speculation about a possible recession is preoccupying some investors with “what if” scenarios spurred by uncertainty. “Investors have all talked about that 18-month window [for expecting a market correction],” Sells said. Traditional homebuyers (not investors) are just playing the wait-and-see game. They don’t want to buy right now because they’re afraid they’ll end up in upside-down mortgages. They’re all just hanging tight, not wanting to make that move,” he added. The discussion around SFR investment has become even more important in a market that’s seeing an increasing growth. According to a CoreLogic report, U.S. single-family rent prices increased 3.1 percent year-over-year in December 2018 compared with 2.9 percent in 2017, with low-end rental growth outpacing high-end gains for the fifth consecutive year in 2018. With a strong economy and labor markets continuing to propel SFR growth, experts at the summit said that now was clearly the time to collaborate on strategies to take SFR to the next level. Sean Miller, President, PointCentral, told DS News that the market for single-family rentals (SFR) remains strong. “Owners and operators are trying to up their game as a way to serve that strong demand,” Miller said, “whether that’s combining portfolios or adding to their existing portfolios.” Overall, Miller predicted that 2019 would be another strong year for SFR. This year’s SFRS curriculum is divided into three broad subject areas with panels and keynote speakers providing more detailed insights into each topic. Tuesday’s discussions were split between the funding session from 9 a.m. to 1 p.m. and the acquisition and disposition session from 1 p.m. to 3 p.m. While the funding session focused on financing for fix and flip projects, creative funding for acquisitions, and getting the best financing deals, the sessions on acquisitions and disposition featured expert panels on elements that can impact buying opportunities, pricing portfolios for successful disposition, and getting the timing right on buying and selling an SFR investment. On Wednesday, the sessions on property management will look at how SFR investors can manage their portfolio while expanding their business, maintaining profitability through tenant retention, and technology that can fuel revenue generation for SFR investments.